Part 5 in the 6 Questions We Answer Again and Again series. How does a culture like this care for members’ hearts? A church organized around missional communities—a vision of church that focuses on getting people wrapped into the family of God on the mission of God in the everyday stuff of life—experiences specific challenges and opportunities related to the care of members’ hearts (or what we call gospel shepherding). The kind of time and energy that missional community life requires is far beyond the minimum expectations of many churches. In a more conventional church setting, ministry involvement may include Sunday services and perhaps a midweek ministry role, committee meeting, or small-group Bible study . . . and many Christians’ involvement is much less than that. While many Christians think missional community life is a beautiful idea, the sad reality is that few have the spiritual energy to live into it. Anyone who has tried to live in community and on mission feels this, both for themselves and for those they want to lead into it. 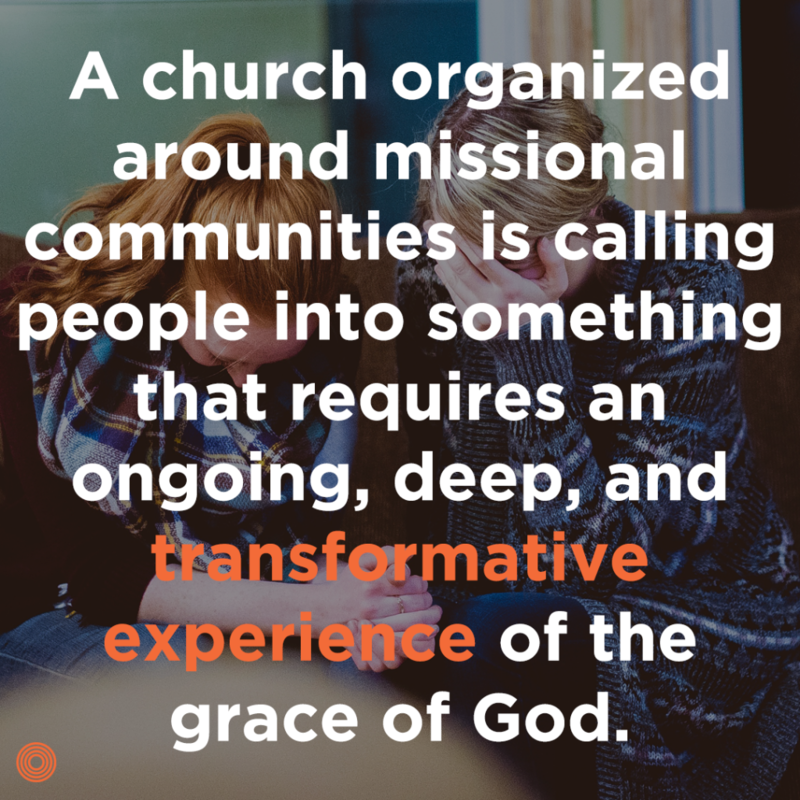 A church organized around missional communities is calling people into something that requires an ongoing, deep, and transformative experience of the grace of God. When Jesus quoted Isaiah 61, He declared His ministry was all about how He’d bring restoration to broken hearts and empower the restored to become restorers of others. In that sense, there was a clear flow to His ministry: through His work, He’d bring wholeness and healing to broken people, and as they experience that healing work, they’d be increasingly freed to be ministers of restoration. If we’re going to be a people on this mission, we need to give significant attention to how we’re handling the hearts of everyone who gets wrapped into our communities and churches, ensuring that deep restoration is taking place among us so we’re empowered to bring it to others. By God’s grace, we’re getting to see many people experience this deep work of God and subsequently rearranging their lives around community and mission. 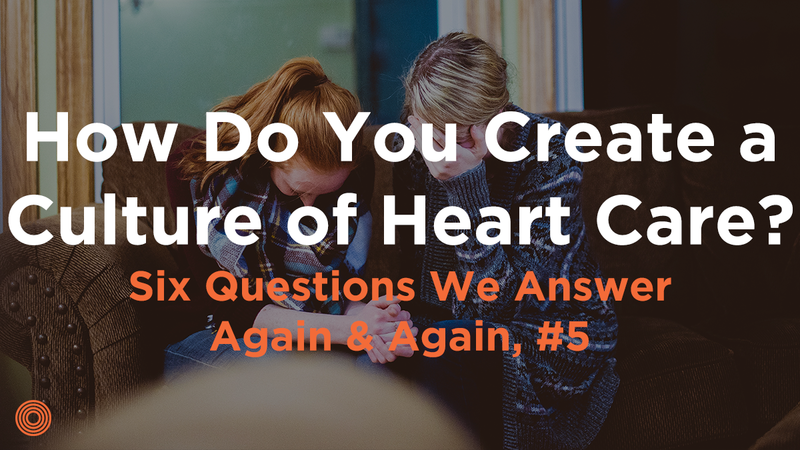 Here are a few things we’ve learned along the way about creating a culture where caring for the hearts of our people is prioritized. First, we never assume anything about the depth of a person’s experience of restoration. In our context, we seem to attract many churched people who need a fresh encounter with Jesus. Some of these people are worn out from serving in churches with extremely full calendars of events, while many others are basically coasting through life with accurate theology but very little transformation. We regularly say to newcomers, “If you’re new, please feel the freedom to take a season to rest. Don’t get busy serving and doing. Just rest, let the good news of the gospel wash over you, and sit still.” That’s a shocking (and sometimes infuriating!) invitation for Christians accustomed to earning their worth through how they serve. But it is also a direct implication of the gospel: Jesus really has done all the work, and the first (and most difficult) move of Christian spirituality is to learn how to receive the love of God. In fact, unless we see real evidence of deep gospel renewal in the heart—a fresh sense of the depth of one’s sin and the goodness of grace, along with regular confession of sin that leads to real joy in Jesus—we’re pretty content not to push people into doing anything. Because we firmly believe that really tasting and seeing the goodness of God will always lead to real, joyful, responsive obedience, we’re pretty content to try to keep people from doing anything until they’ve experience that! Second, in light of that, we’ve created both systemic and systematic ways of getting to the hearts of people who get wrapped in with our community. Systematically, we’ve used the Gospel Basics course as a means of laying a firm foundation for how the gospel brings renewal and transformation from the inside out. Many people—Christian or otherwise—see Christianity as basically a self-improvement project: while they know that Jesus saves them, they still functionally rely on their own discipline or obedience to help them feel accepted with God. It is a crushing place to live and leads to a faith marked by hiding sin and trying to outwardly perform the right Christian activities. In that frame of mind, missional community becomes another way (an advanced way!) to feel accepted. Gospel Basics hammers hard at motivations, reveals idolatry and unbelief, and often leads people to a renewed understanding and experience of the gospel. It is this fresh experience of grace that revitalizes faith and leads to the kind of spiritual vibrancy needed to live missional community life. In addition, Gospel Basics helps to give people a clear framework for what we call gospel fluency. You can read Jeff’s book to learn more, but basically we are working hard to help people connect the daily struggles of life to the abundant resources that are ours in Christ. We want our people fully equipped to ask good questions and listen to each other’s hearts without critique, advice, or Christian platitudes. We want to give each other good news and to proclaim the gospel one another’s hearts, helping each other see our need for Jesus and enjoy the rich resources that are ours in Him. Because of how key this foundation is, we offer Gospel Basics twice yearly, and we urge everyone to take it at least every two years. Gospel Basics is a systematic format: eight two-hour classes and two half-day workshops. But we’re also thinking systemically, aiming at creating a culture of gospel to heart discipleship as normative. In many ways, this starts with Sunday gathering, as it is one of the key places where church culture and values are shaped. In my preaching, I’m always pressing on issues of the heart, asking questions that help people connect the truth of the text to the heart (repenting and rejoicing) and not just to the head (thinking) or hands (doing). For example, we’re in a series right now on the Spirit-led life. Rather than just talk about who the Spirit is and what He does, and rather than just emphasize how to listen and obey the Spirit, I also want to ask a key heart question: Why are we often hesitant to really ask the Spirit to fill us and lead us? Because we do dialogical preaching, hands shot up around the room as we confessed together our fears, hesitations, and reservations about letting go of control, of really trusting that God is good and for us, and of being dependent. All of those are heart issues, and in my preaching I’m trying to make this kind of reflection, repentance, and rejoicing normative. Because we do this together on Sundays, we’ve watched this kind of conversation become a key part of our church culture and a normal way of processing the challenges and joys of life. How have you seen your need for the gospel this week? What about Jesus has been particularly energizing and renewing for you lately? Where have you seen unbelief driving your thoughts and actions? While much of this care of hearts happens in DNA groups, we want all our missional community leaders to be well-equipped in this kind of heart-oriented shepherding. MC leaders are the first level of care for most of our church. As specific needs arise within the community—marital challenges, deep sin patterns, relational collisions, etc.—MC leaders are the go-to people for gospel shepherding in the everyday. We’ve also pursued key people in our body who are gifted to as shepherds. These key leaders have received additional training in counsel and care of hearts. These gospel shepherds are often key couples in our church family, and they’ve walked with people through extremely difficult situations. Finally, while not all of our elders are gifted in counseling, they are all expected to be able to do the work of gospel shepherding. A few of them are particular gifted and trained and can come alongside MC leaders and gospel shepherds to offer pastoral insight and oversight. Finally, while we’re aiming at a church culture where everyday disciples of Jesus are doing the everyday work of shepherding one another’s hearts, we recognize and affirm the value of professional counseling. We’ve tried to make connections with local counselors who have a holistic view of human growth and development (mind, body, and soul), who affirm the centrality of the gospel in their counseling, and who see themselves in service of the local church. A healthy church on mission needs orthodoxy (right beliefs), orthopraxy (right living), and orthopathy (rightly ordered loves). It is this third piece that requires significant attention and time so we create a healthy church culture where we live renewed lives from renewed hearts. What does your church or missional community need to work on to be healthy?